To wholly appreciate the colossal scale of the chain of peaks known as the Black Mountains, climb them. The trail along Colbert Ridge on the eastern front of the Blacks provides access. From the trailhead near Burnsville, the path climbs steeply up Colbert Ridge. For even the fittest hikers, the route is a formidable challenge. Along the way are far-reaching views of the Toe River Valley, the Roan Highlands, and the rugged profile of Grandfather Mountain. Hikers are also transported from a hardwood forest with rhododendron thickets to a landscape of evergreens and other high-altitude flora. 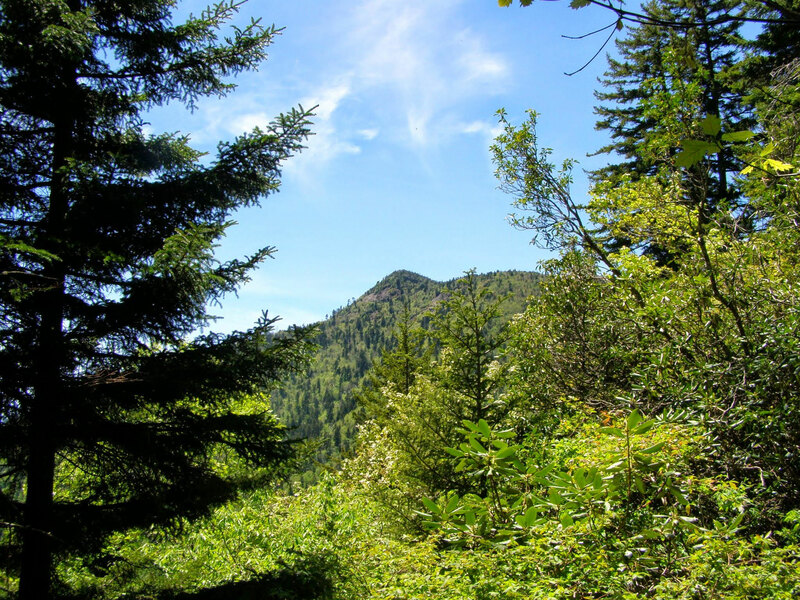 At four miles, reach Deep Gap, a grassy saddle used by campers at an elevation of 5,600 feet, where the Ridge Trail meets the Black Mountain Crest Trail. The famous footpath stretches roughly 15 miles and includes six of the 10 highest peaks in the eastern United States. Potato Hill, North Carolina’s 10th highest, is within a mile of the gap to the south. Climb another 750 feet along the spine of the ridge over huge rock steps to the top of the 6,475-foot summit. Retrace your steps for a 5.6-mile round-trip. Navigate: From Burnsville, travel east on U.S. 19 E. for 4.5 miles, then right on N.C. 80 for nearly nine miles. Go right on Colbert Creek Road (S.R. 1158) for roughly a half mile to the trailhead.